a directory that helps you make informed decision when choosing an insurer. Manulife Financial's vision is to be the most professional financial services organisation in the world, providing strong, reliable, trustworthy and forward-thinking solutions for our clients' most significant financial decisions. Established in 2006 through the licence awarded by the Central Bank of Malaysia, PruBSN today is the country's leading takaful operator who provides financial security to the Malaysian population and their families. Syarikat Takaful Malaysia Berhad (131646-K), in short Takaful Malaysia or the Company began in 1981 when the Government of Malaysia set up a task force to study the feasibility of establishing an Islamic insurance company in Malaysia. Hong Leong also has the license to do Takaful Life and Takaful General business through its company Hong Leong MSIG Takaful. Gibraltar BSN is a growing life insurance company that believes everyone has dreams worth protecting. Lonpac Insurance Bhd (Lonpac), a wholly-owned subsidiary of LPI Capital Bhd, was incorporated in Malaysia on 12 July 1994. Allianz SE is a European financial services company headquartered in Munich, Germany. Its core businesses are insurance and asset management. AXA is the global leader in insurance and investments, with 165,000 employees committed to protecting and improving the lives of 107 million customers across 64 countries worldwide. Prudential Assurance Malaysia Berhad (PAMB) was established in Malaysia in 1924. 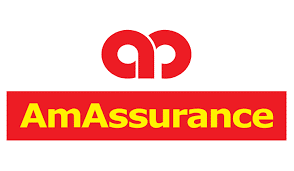 MSIG Insurance (Malaysia) Bhd is a subsidiary of Mitsui Sumitomo Insurance Company, Limited and a member of MS&AD Insurance Group - one of the largest general insurance groups in the world. Founded in Switzerland in 1872, the Zurich Insurance Group (Zurich) is one of the world's leading insurance groups, and one of the few to operate on a truly global basis. AIG offers an extensive range of products and services, including car, property, travel, health and identity theft insurance products, deep insurance claims expertise and excellent financial strength. More than 130 years ago, we were established as the first insurance company in Japan. Our network now spans across 38 countries, and we have never lost sight of conducting business with integrity, passion and quality.